Gracie is described as a coral blue holographic polish. I used 3 coats with no top coat. Looking for the prettiest ocean blue holo? This is it! 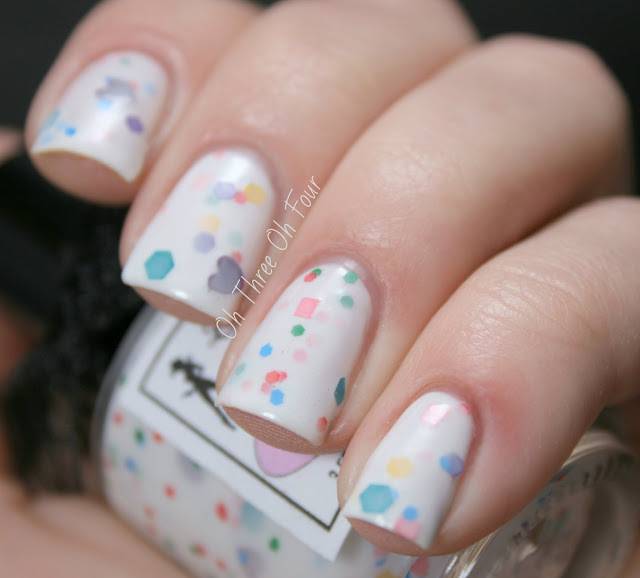 ;) The color alone is beautiful and holographic to it and you have perfection! Formula was perfect and it was nice and shiny with no top coat. My Secret Crush has a "crelly" white base with a rainbow assortment of glitter including large turquoise hexes and purple hearts. All nails are 3 coats with a top coat of Seche Vite. 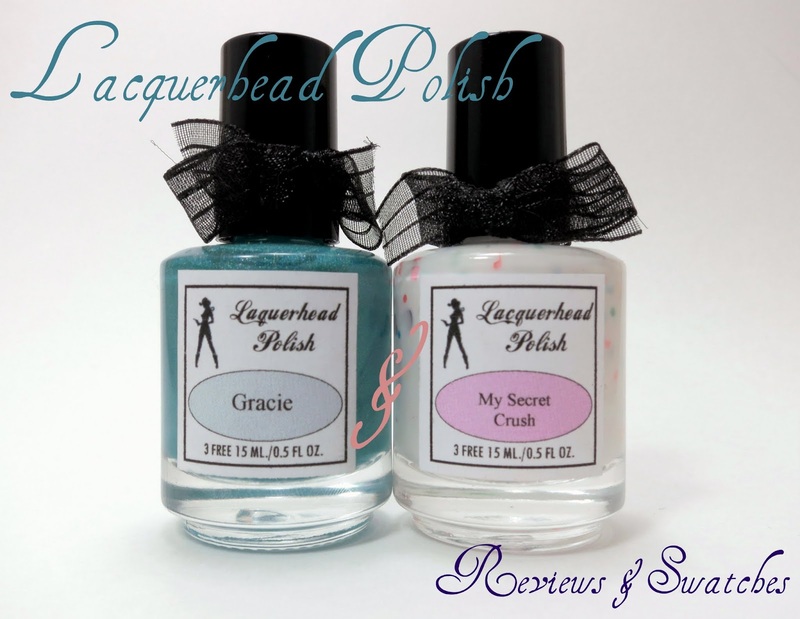 Lacquerhead Polish can be purchased on Etsy. Through Saturday (4/27/13) at midnight you can use the code SPRINGCLEAN and get free shipping on all US orders! Also be sure to check out Lacquerhead Polish on Facebook, where she has a giveaway going, and Twitter.